Comments Off on Ex-pa rte decree—Defendants despite service of summons and notice did not appear and adopted delaying tactics—Ex-parte decree set aside subject to payment of costs of Rs. 1.25 lacs. Civil Procedure code, 1908, O.9 R.7–Ex parte order-Setting aside of–Stage of joining proceedings—Proceedings must continue from the stage at which the later appearance was entered and obviously, he could not be relegated to the position he would have occupied if he had appeared at the earlier hearing or hearings—But he certainly had the right of participation in the proceedings, to cross-examine the plaintiff or his witnesses and if necessary, to lead evidence in rebuttal. Comments Off on Civil Procedure code, 1908, O.9 R.7–Ex parte order-Setting aside of–Stage of joining proceedings—Proceedings must continue from the stage at which the later appearance was entered and obviously, he could not be relegated to the position he would have occupied if he had appeared at the earlier hearing or hearings—But he certainly had the right of participation in the proceedings, to cross-examine the plaintiff or his witnesses and if necessary, to lead evidence in rebuttal. Decree holder should not have contested the application and could have given statement for restoration of the same subject to any terms and conditions—To prevent miscarriage of justice application seeking restoration of application filed under O.9 R.13 CPC is allowed. Comments Off on Decree holder should not have contested the application and could have given statement for restoration of the same subject to any terms and conditions—To prevent miscarriage of justice application seeking restoration of application filed under O.9 R.13 CPC is allowed. V IMP: Exparte order—Setting aside of—No rule has been prescribed regarding condonation of delay in filing an application. Comments Off on V IMP: Exparte order—Setting aside of—No rule has been prescribed regarding condonation of delay in filing an application. Exparte decree—First appeal against ex parte decree is maintainable on merits and against ex parte order. Comments Off on Exparte decree—First appeal against ex parte decree is maintainable on merits and against ex parte order. 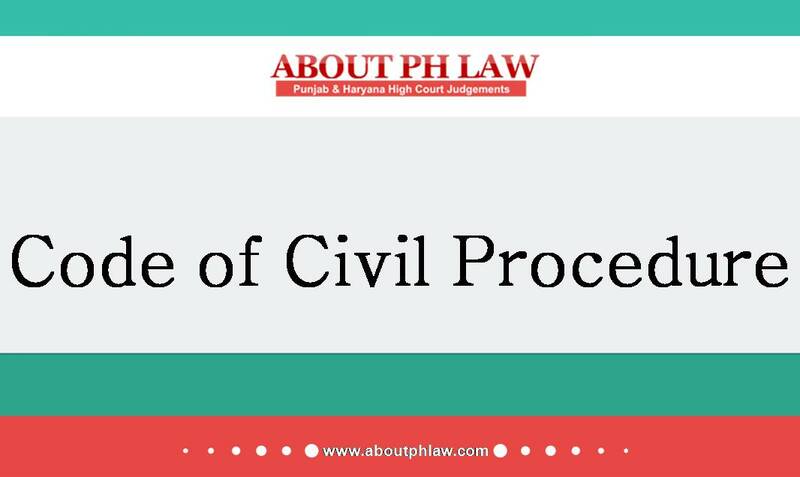 Civil Procedure Code, 1908, O.9 R.13–Exparte Decree-Setting aside of–Plaintiff concealed the material fact from notice of the court that defendant was resident of England and no attempt was made to serve him at his address of England- Impugned order of setting aside exparte decree upheld. Comments Off on Civil Procedure Code, 1908, O.9 R.13–Exparte Decree-Setting aside of–Plaintiff concealed the material fact from notice of the court that defendant was resident of England and no attempt was made to serve him at his address of England- Impugned order of setting aside exparte decree upheld. Civil Procedure Code, 1908 (CPC) O.9 R.13—Exparte Decree—Setting aside of—Service upon the adult member of the family i.e. brother has been effected but he is not the member of the family—Exparte decree set aside. Comments Off on Civil Procedure Code, 1908 (CPC) O.9 R.13—Exparte Decree—Setting aside of—Service upon the adult member of the family i.e. 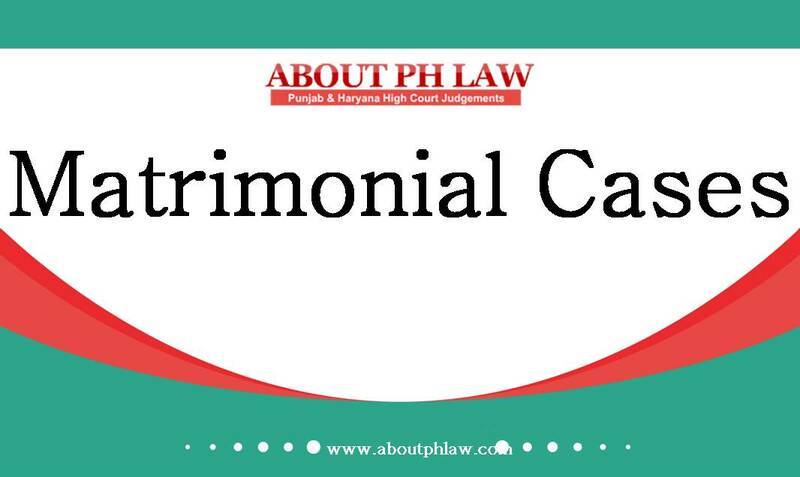 brother has been effected but he is not the member of the family—Exparte decree set aside. Held; since O.5 R.19-A CPC has already been deleted from statute book in 2012 same cannot be invoked-Application under O.9 R.13 CPC allowed-Matter remitted to tribunal-Motor Vehicles Act, 1988, S.163. 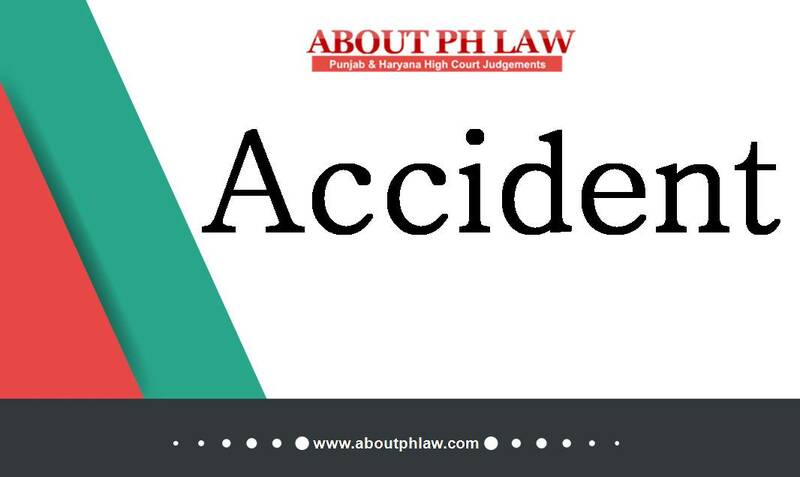 Comments Off on Held; since O.5 R.19-A CPC has already been deleted from statute book in 2012 same cannot be invoked-Application under O.9 R.13 CPC allowed-Matter remitted to tribunal-Motor Vehicles Act, 1988, S.163. Ex-parte Decree—Setting aside of—The application for setting aside the ex-parte decree is not maintainable, where the appeal has already been disposed of/decided. Comments Off on Ex-parte Decree—Setting aside of—The application for setting aside the ex-parte decree is not maintainable, where the appeal has already been disposed of/decided. Civil Procedure Code, 1908, O.5 R.20-Substituted service-Substituted service through munadi cannot be ordered on the first date, when the summons had been received back unserved. Comments Off on Civil Procedure Code, 1908, O.5 R.20-Substituted service-Substituted service through munadi cannot be ordered on the first date, when the summons had been received back unserved.